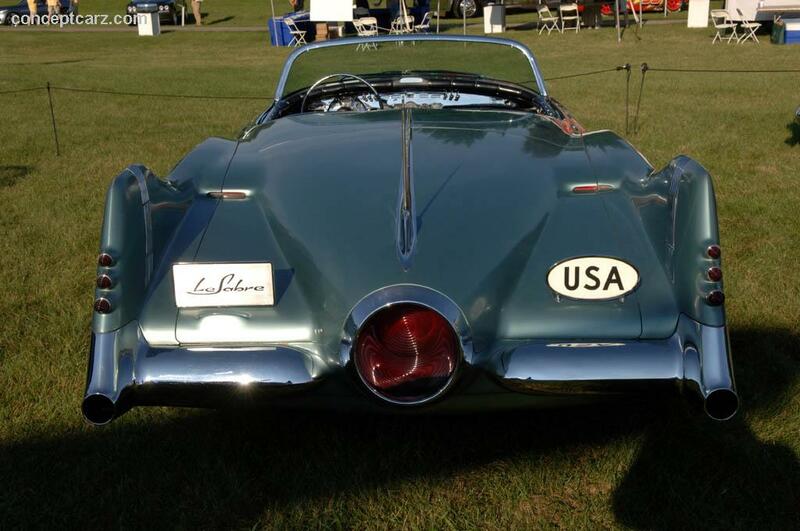 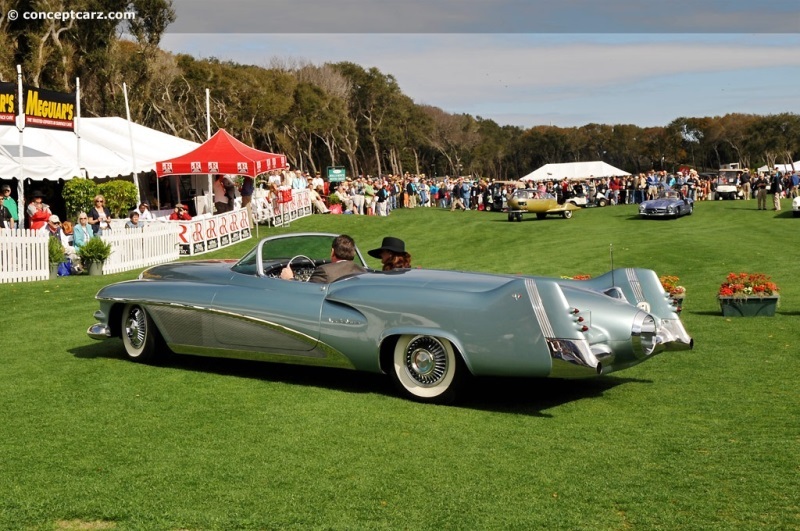 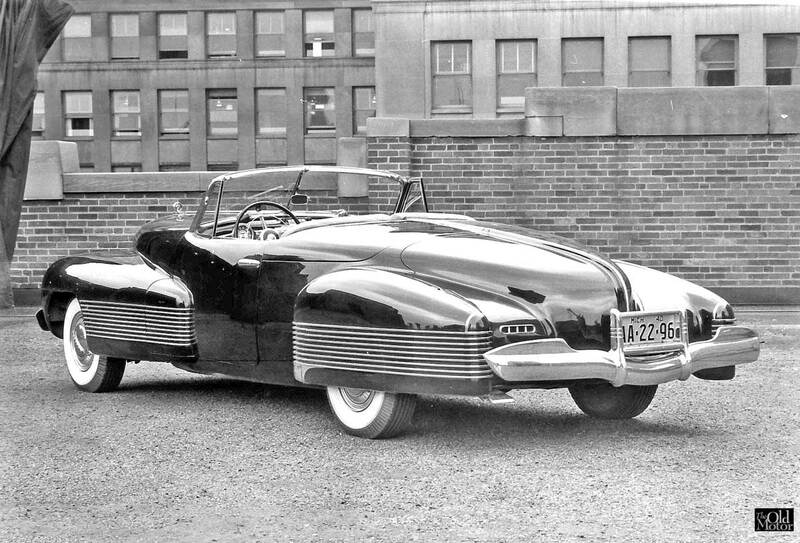 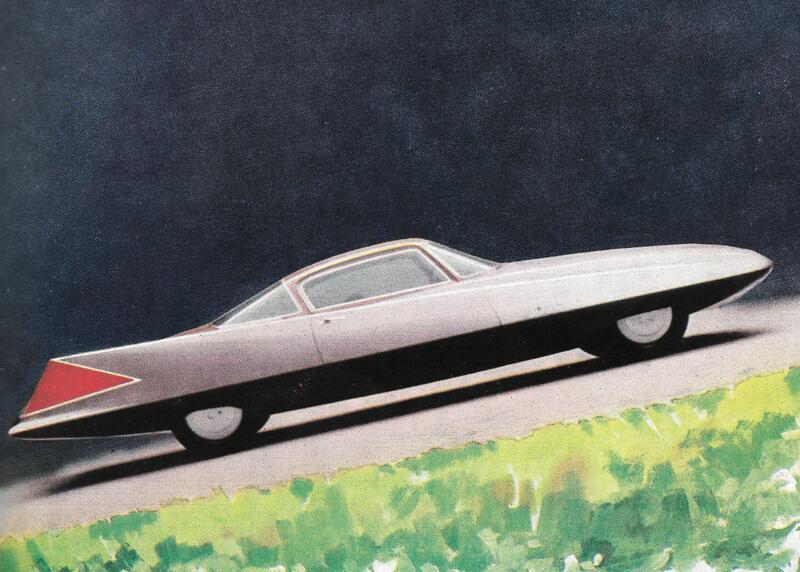 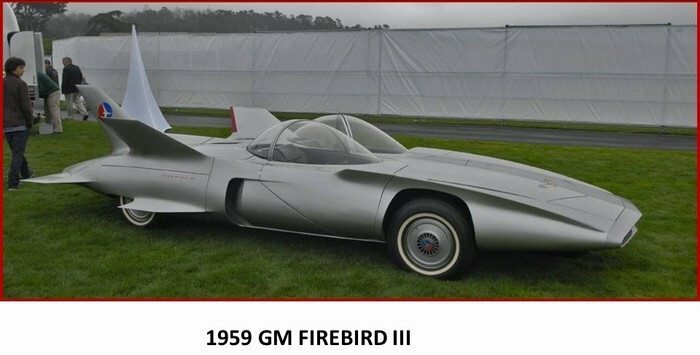 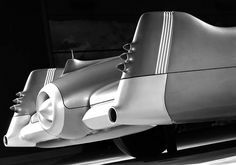 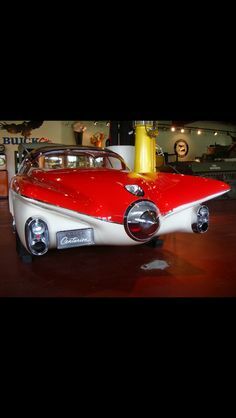 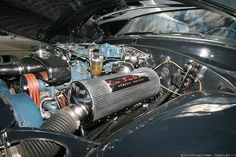 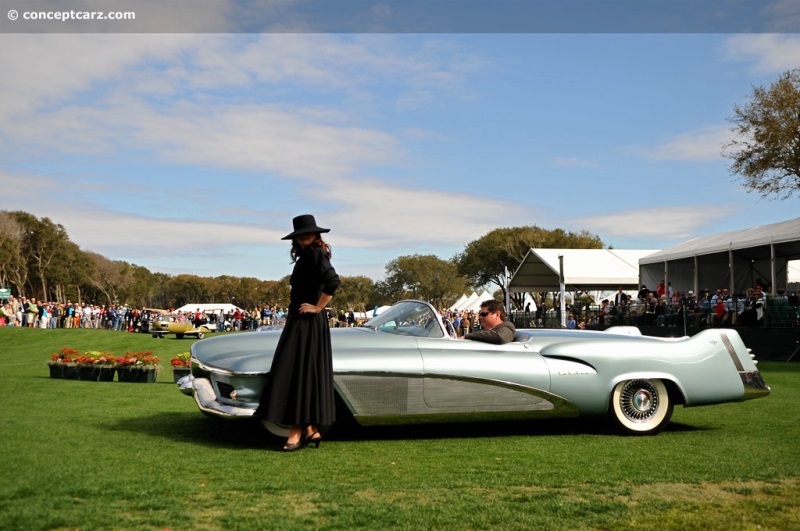 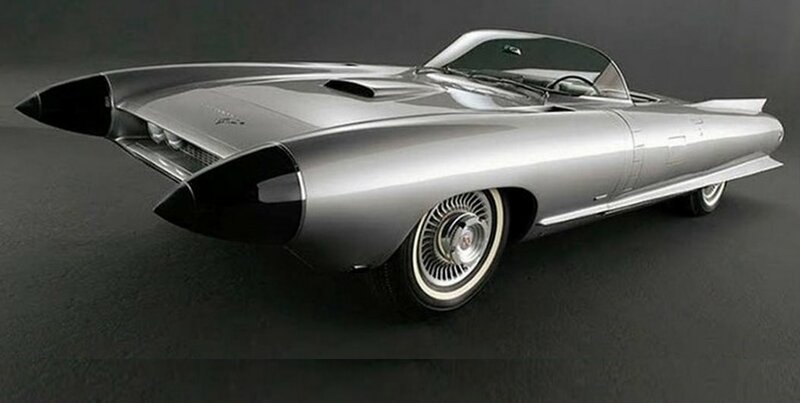 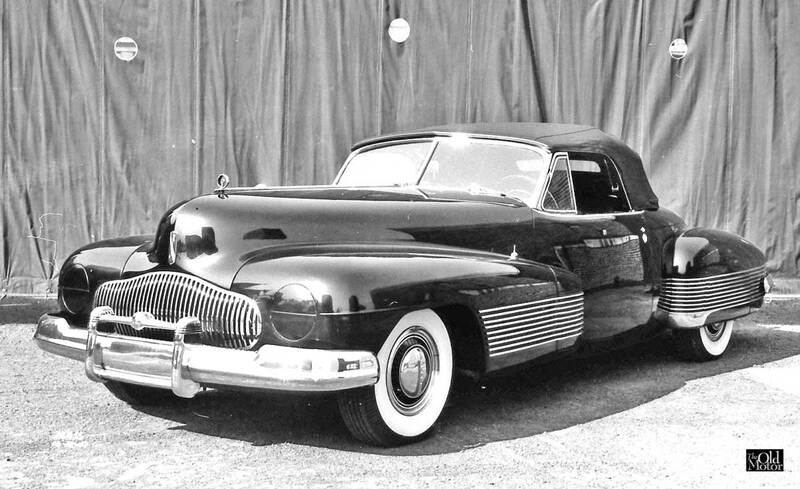 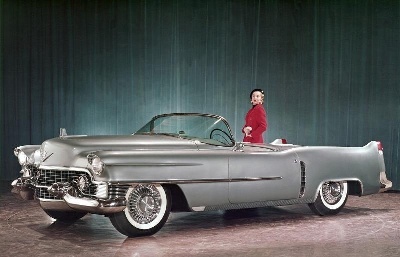 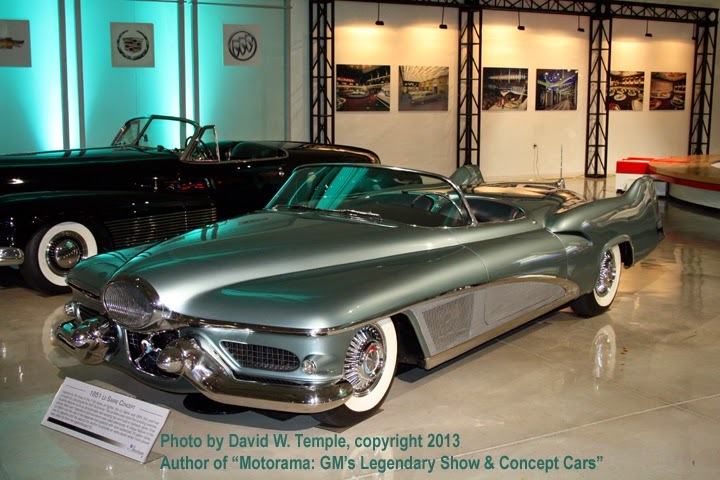 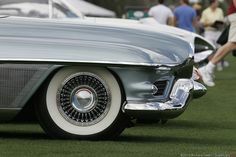 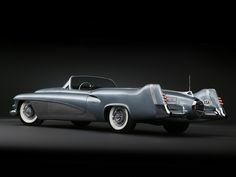 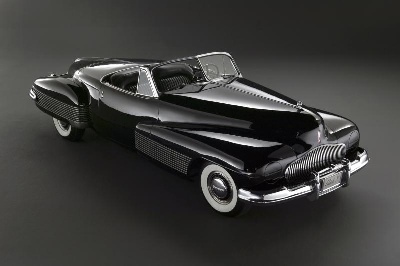 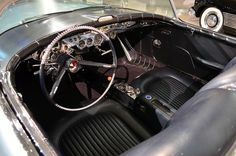 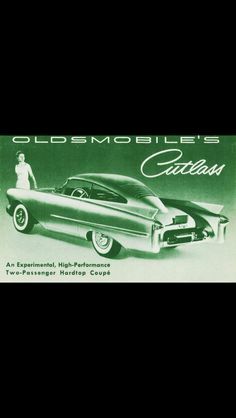 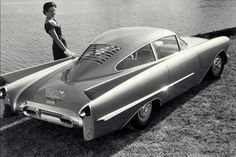 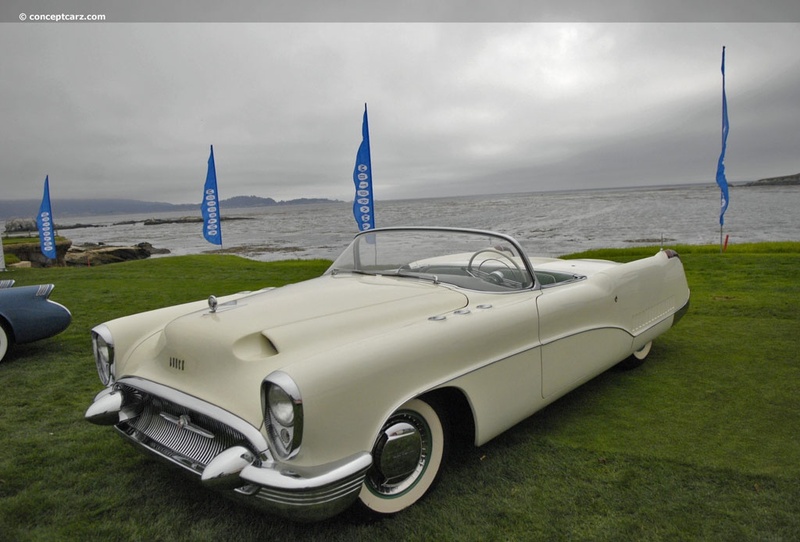 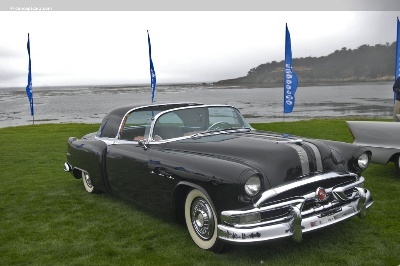 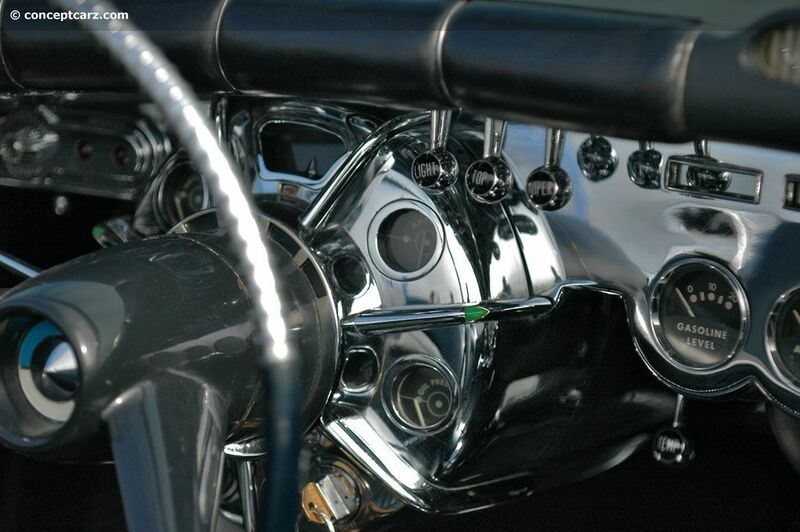 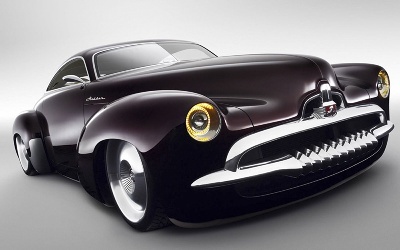 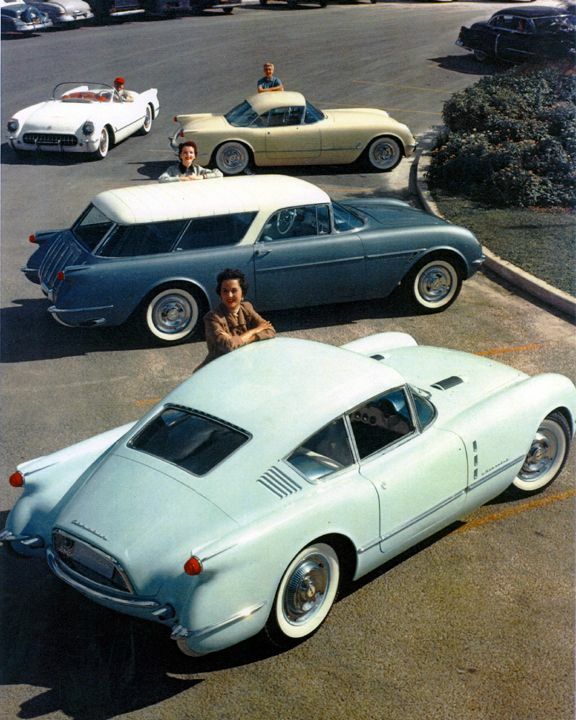 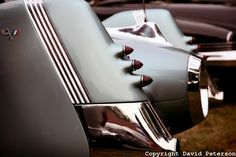 '51 LeSabre Concept - "Clearly showing aircraft influence in styling and eng. 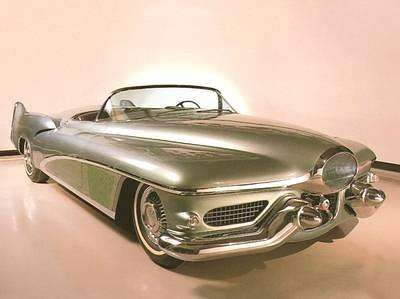 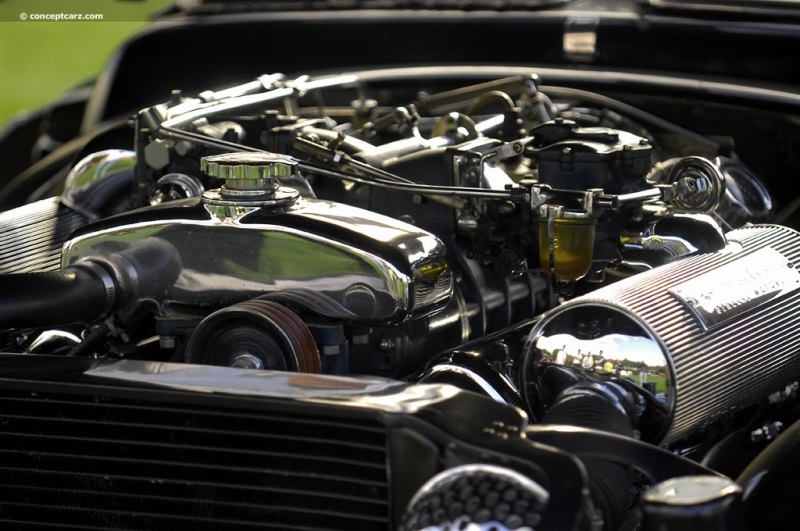 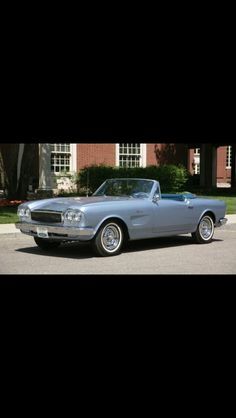 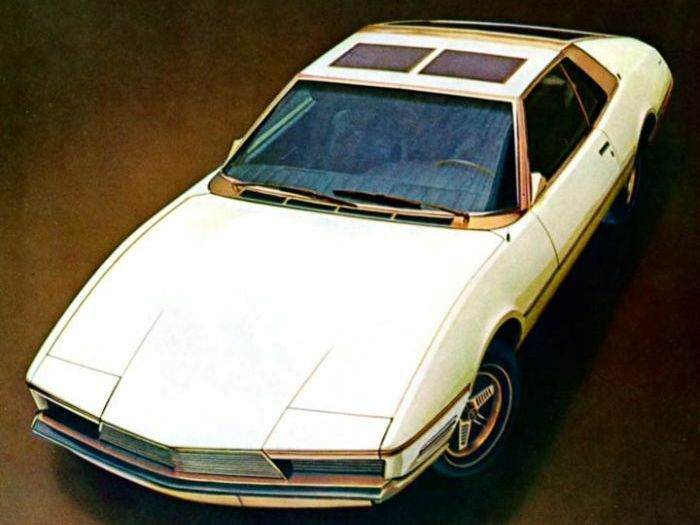 Clearly showing aircraft influence in styling and engineering, the Buick LeSabre was constructed of aluminum and lightweight cast magnesium. 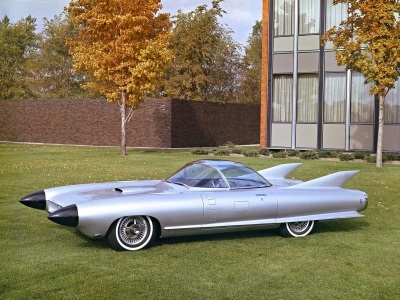 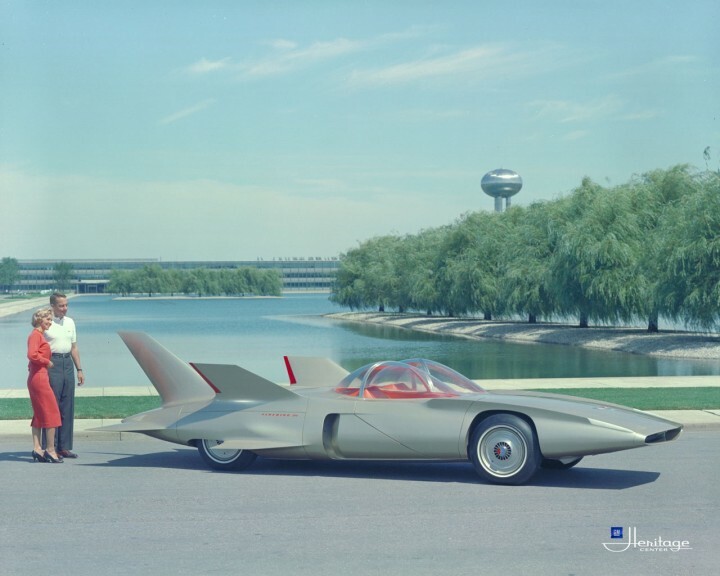 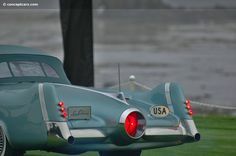 1951 GM Buick LeSabre Concept Car on the Design Studios outdoor viewing turntable in Warren, Michigan. 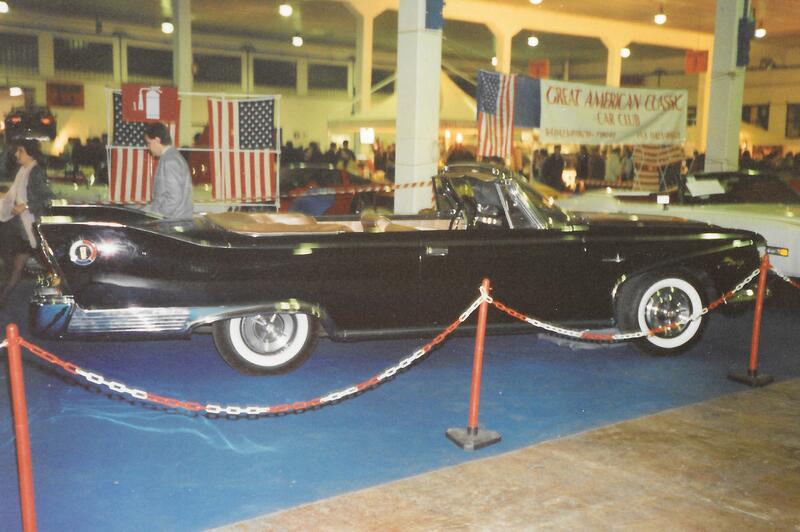 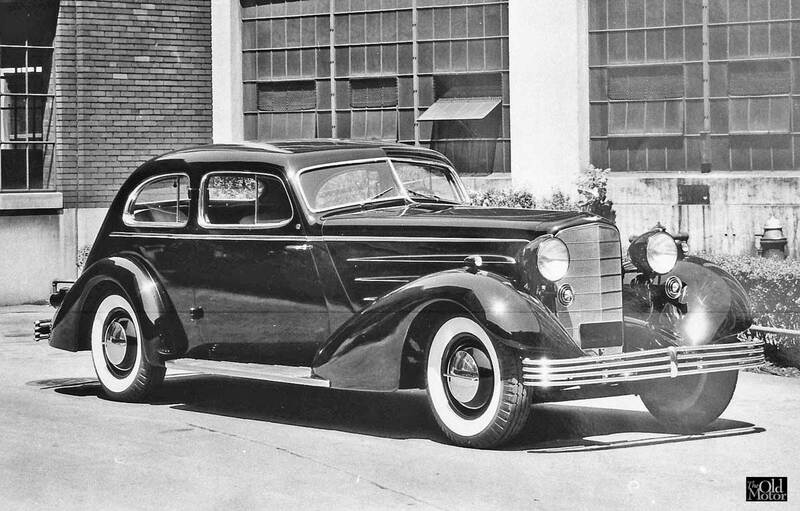 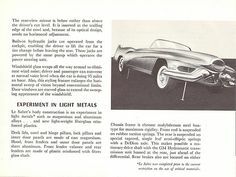 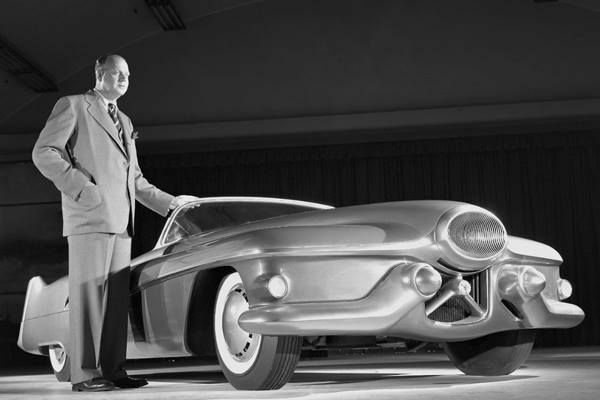 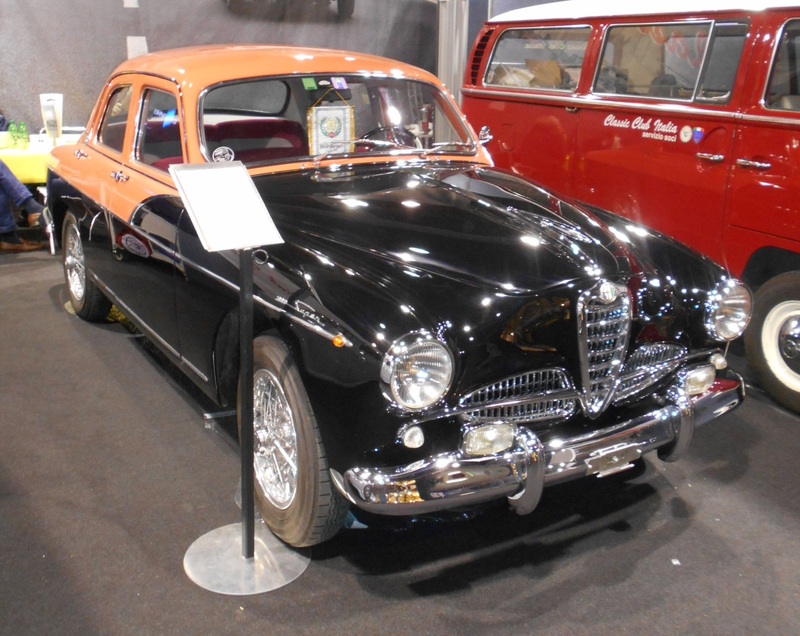 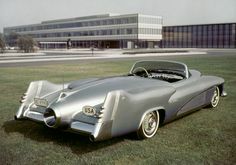 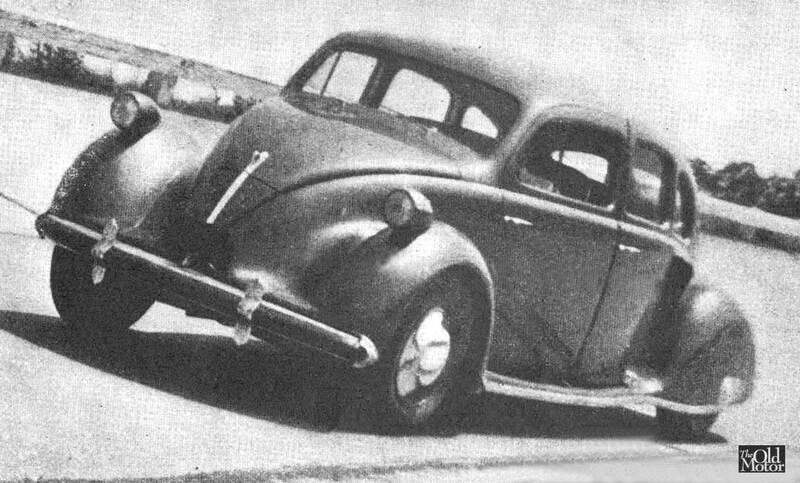 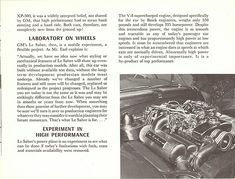 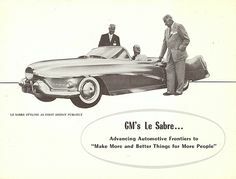 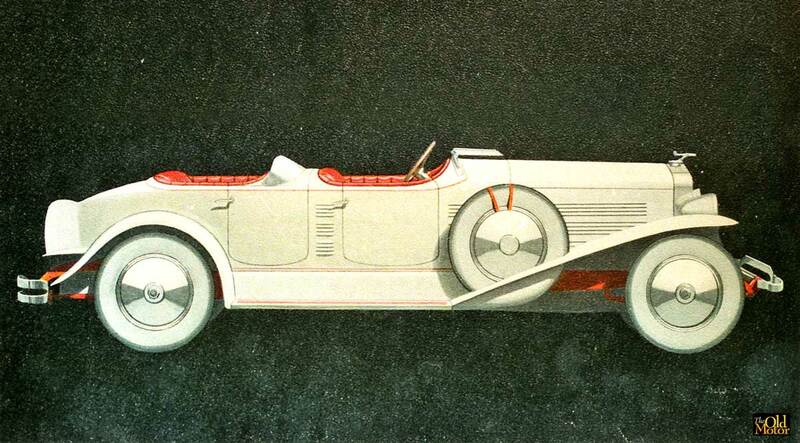 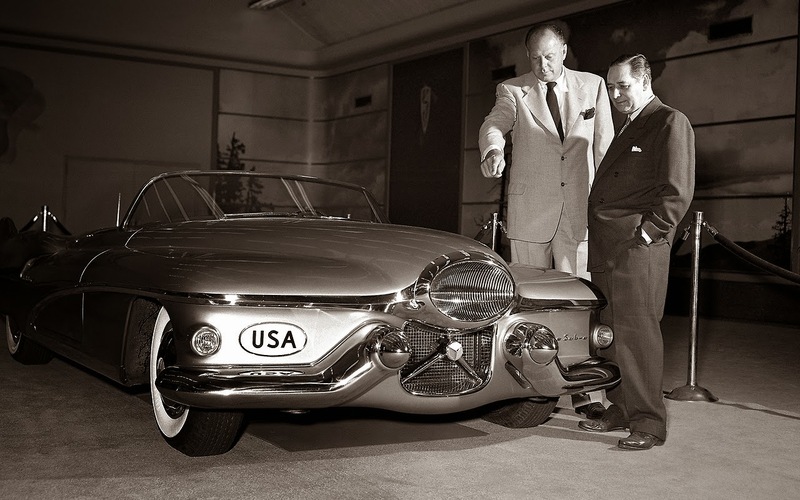 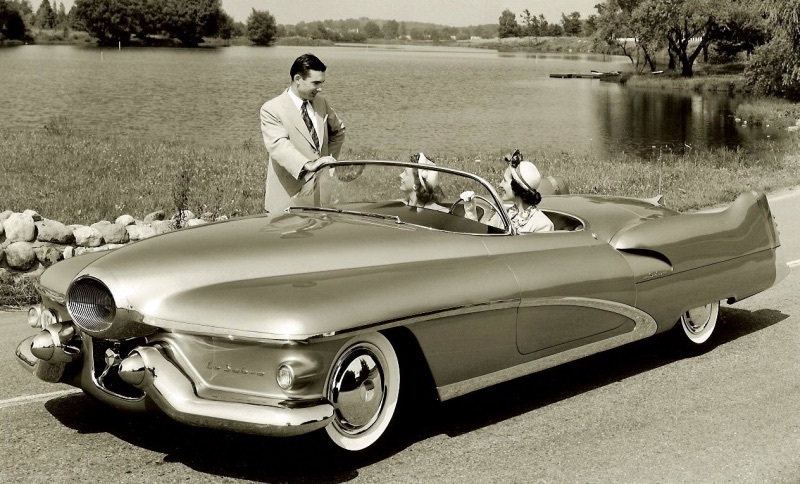 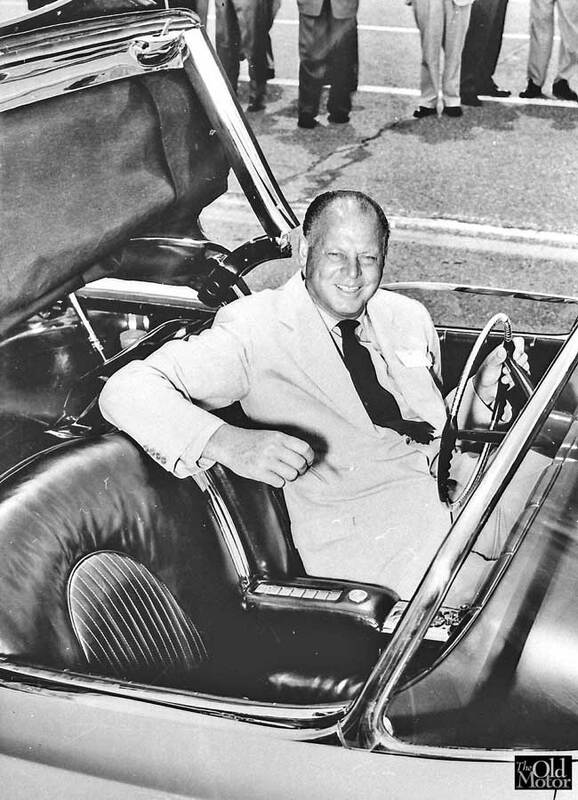 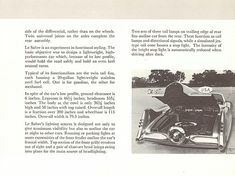 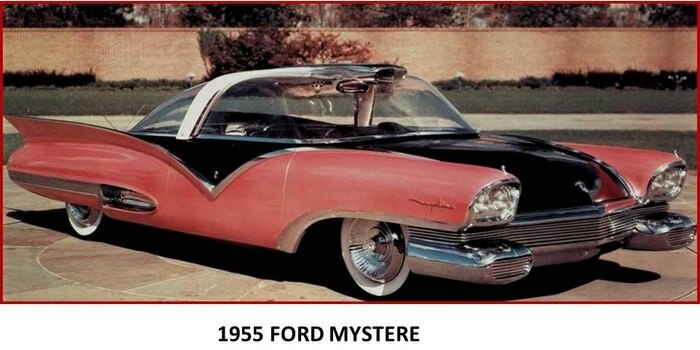 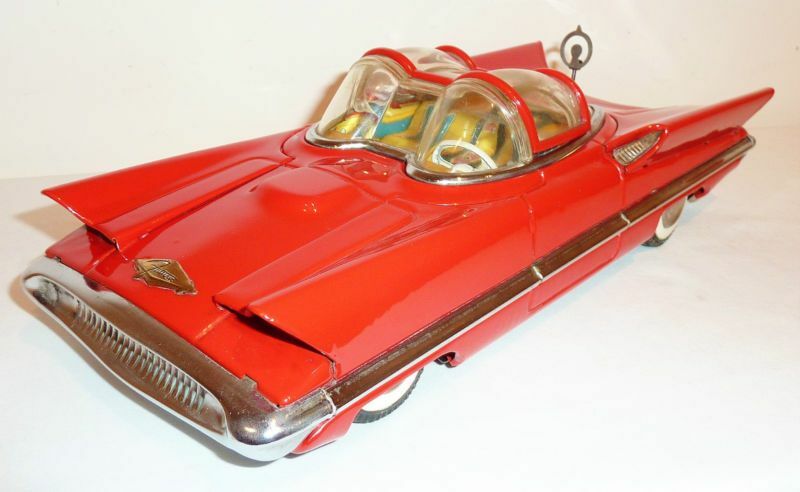 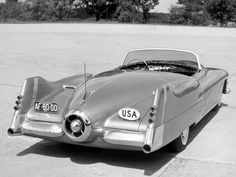 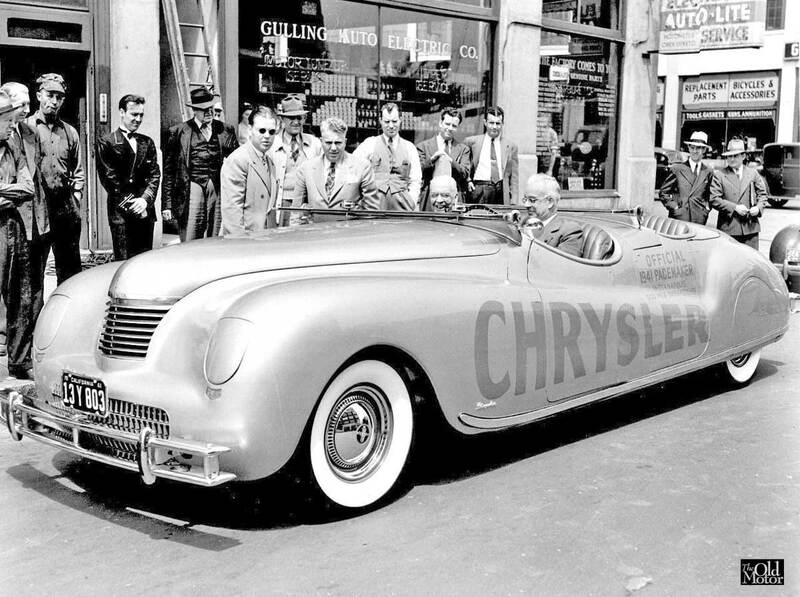 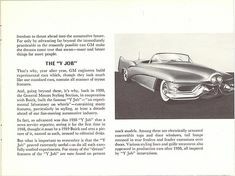 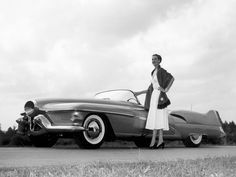 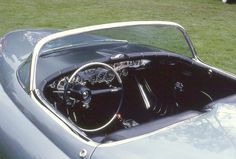 A clay vision of the LeSabre appeared in print in the fall of 1950 and the real thing was first shown to the public in July of 1951. 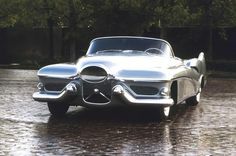 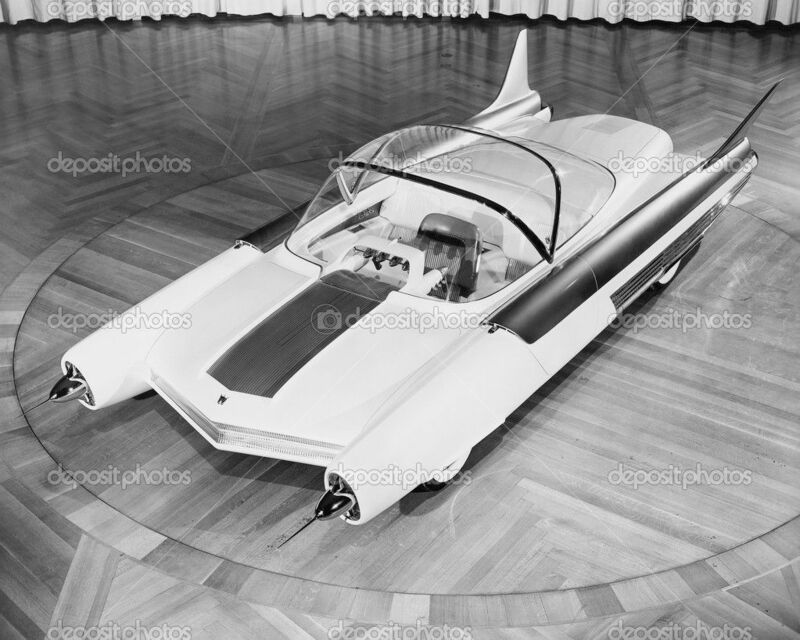 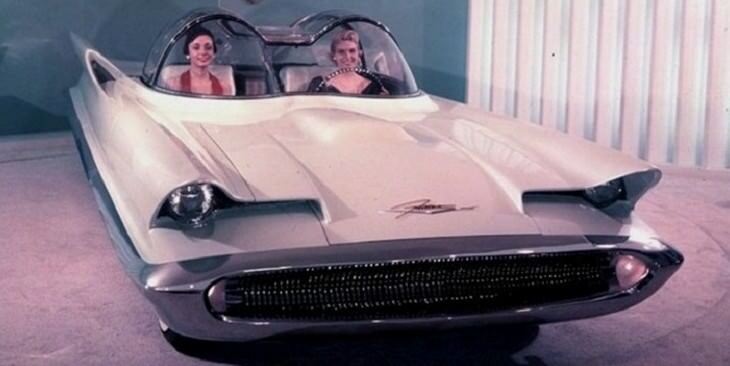 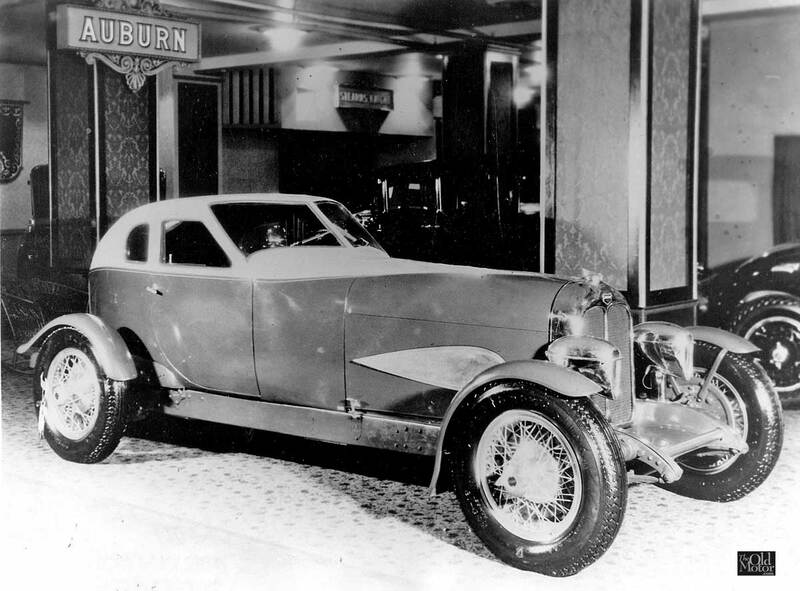 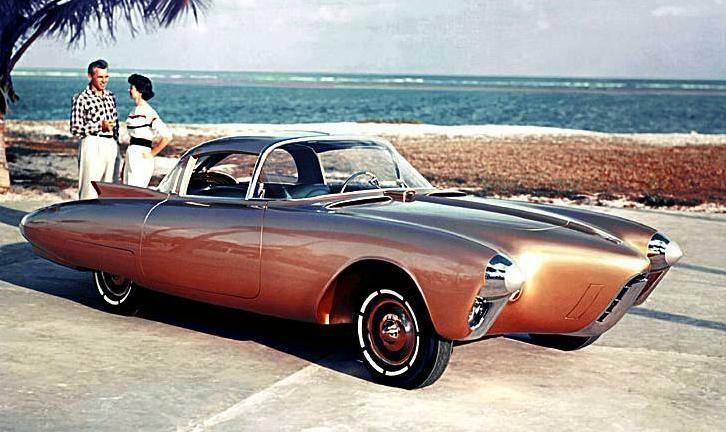 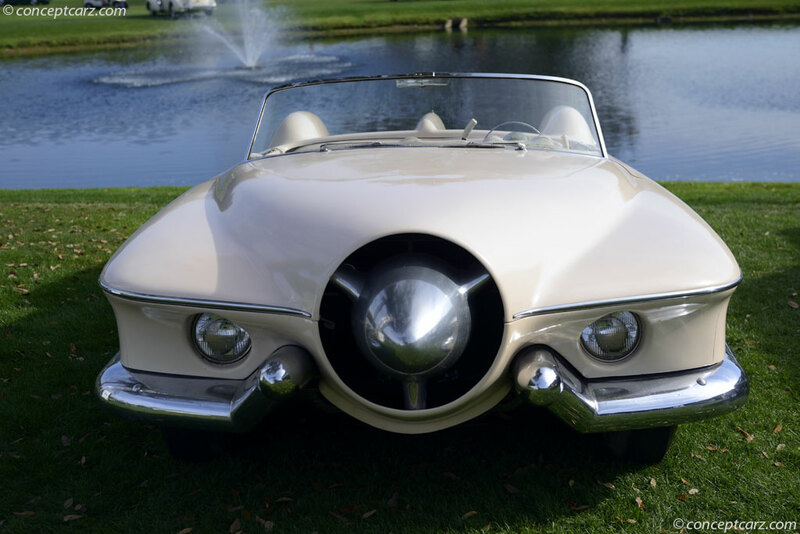 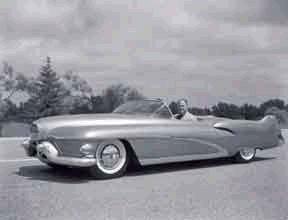 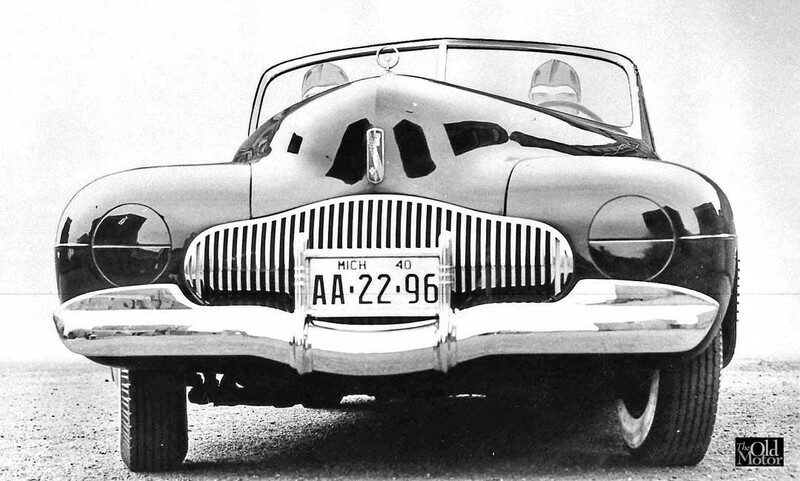 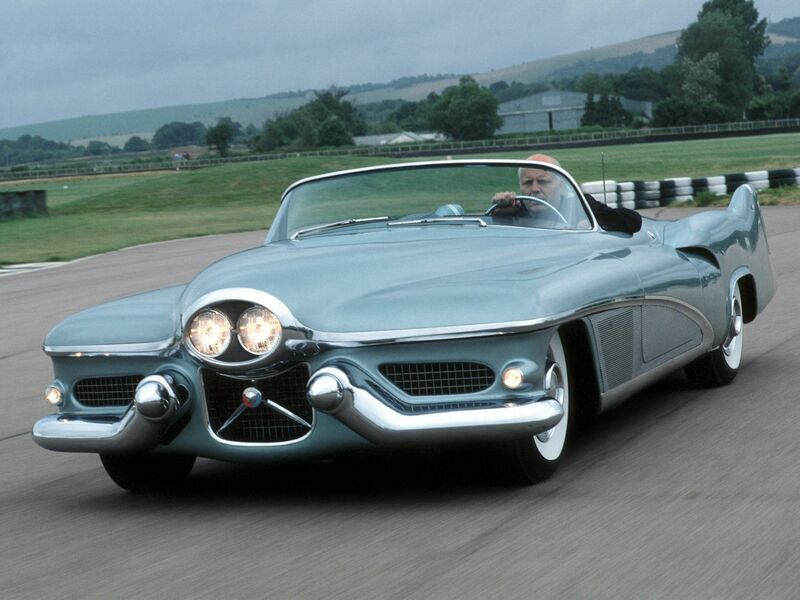 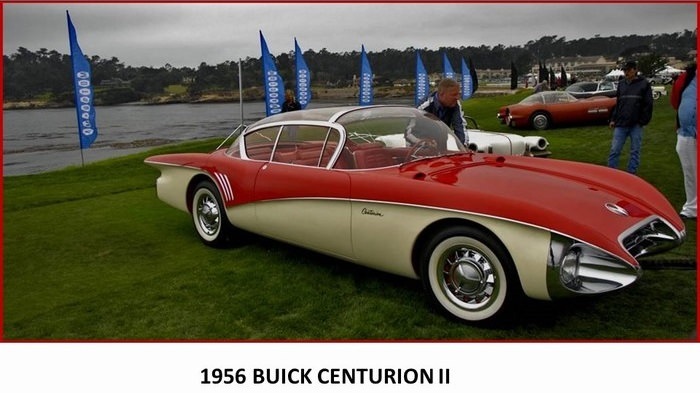 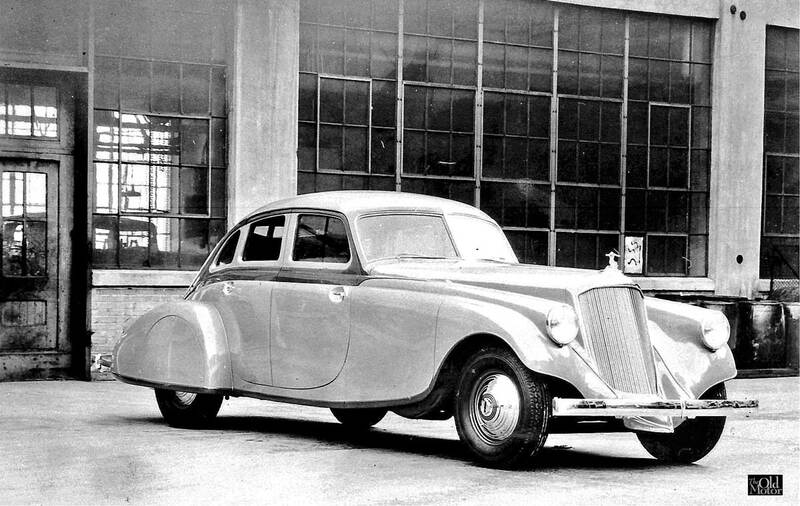 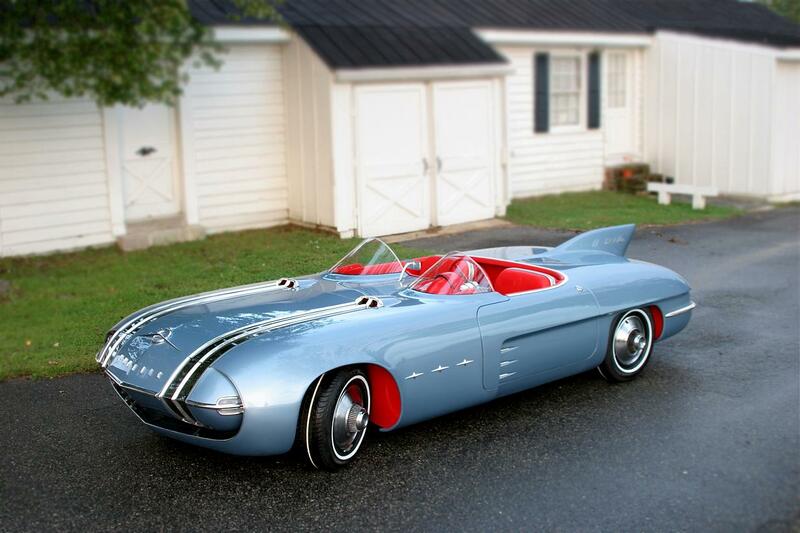 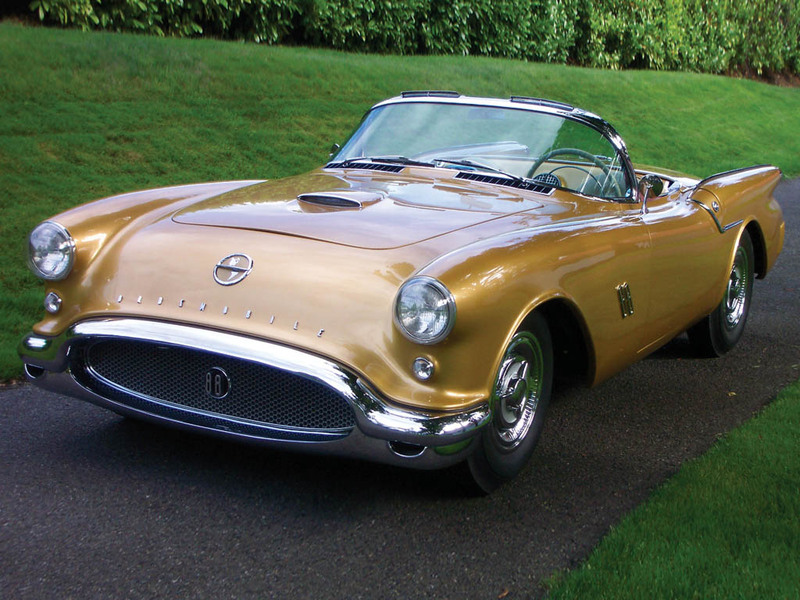 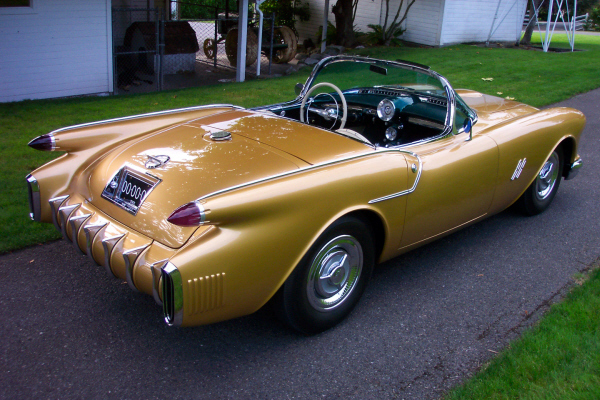 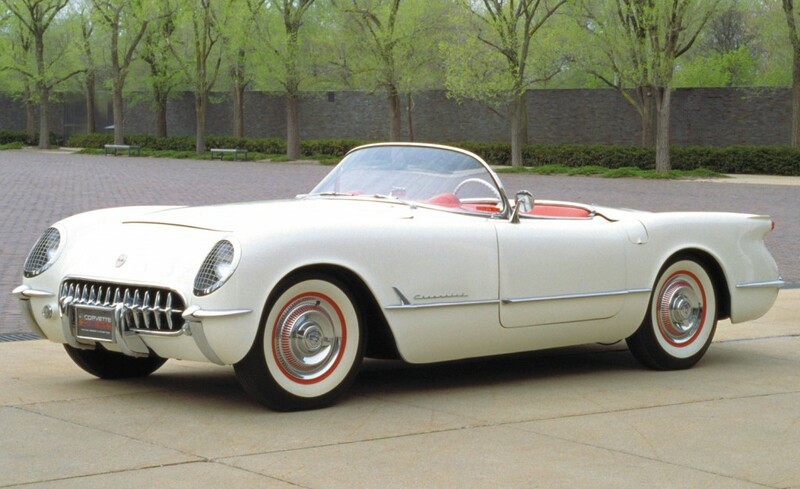 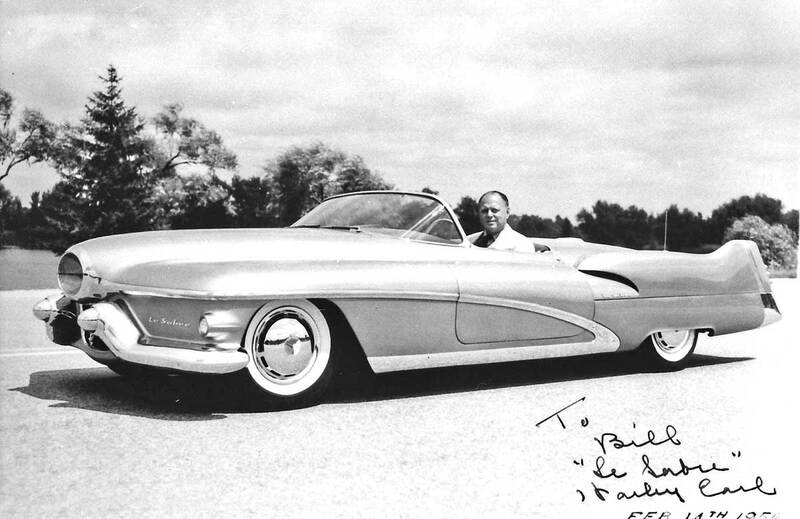 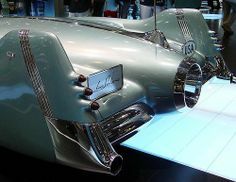 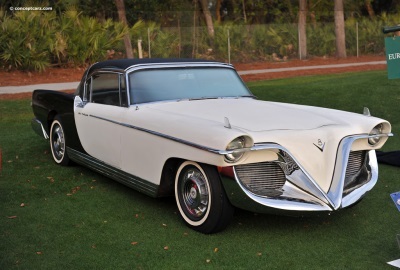 1950's Buick concept car ........ really ugly! 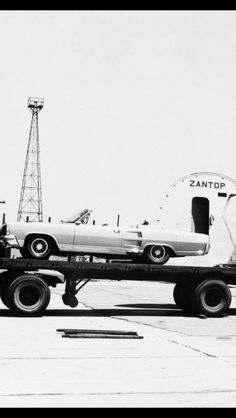 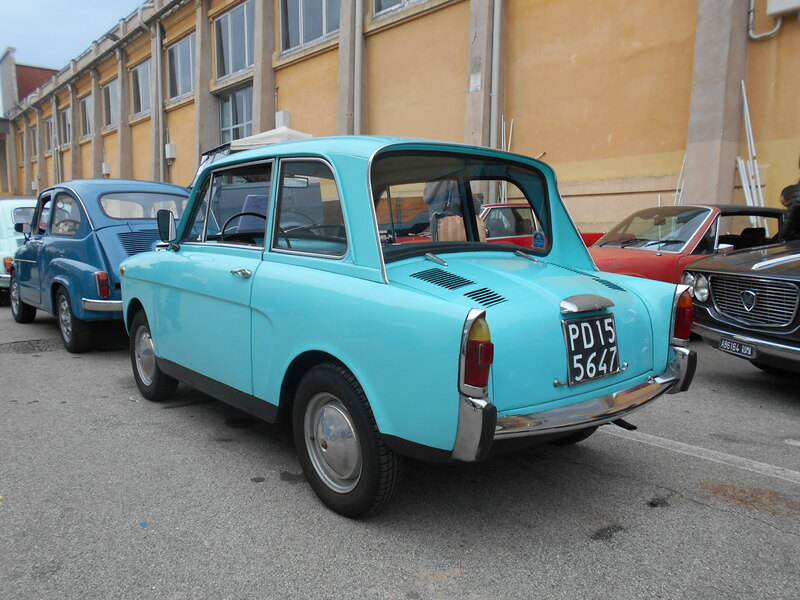 1963 X400 being loaded on a plane to go to an auto show in LA.